Description: From 1 to 4 feet tall. Leaves are basal and all are deeply cleft, slender small leaves on branching stalk, stem is wiry. 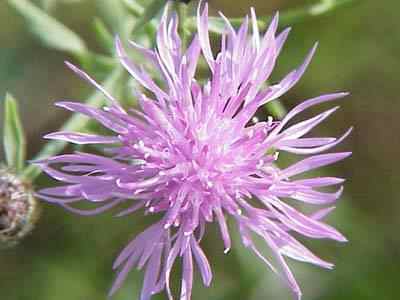 Flowers heads vary in color from pale to deep pink purple, bracts are pale, ribbed and fringed, black triangular tips. 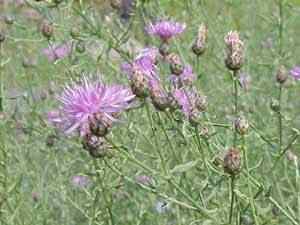 Some call this the "Star Thistle" but it lacks the spines.